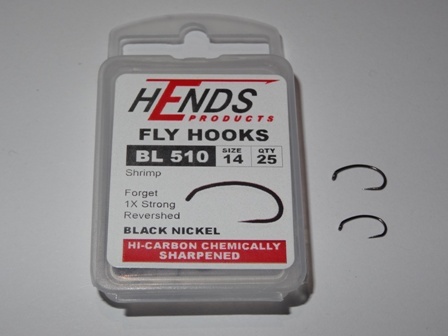 One of the most important elements in fly fishing is high quality hooks with great sharpness and penetration. The modern barbless patterns presented below are in our opinion some of the finest available for tying river fly patterns. 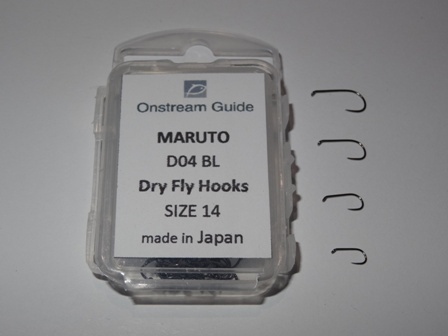 Top quality Japanese high carbon steel hooks, the barbless points curve in and up to help hook hold. Super sharp points and well tempered Japanese steel wire. Used in a wide range of Onstream-guide dry flies including the Soft Hackle dry fly (size 14), Match the Hatch flies in sizes 14,16 & 18, "F" terrestrial and the Griffiths gnat in 3 sizes (16, 18 & tiny 20). SIZE 16 sold out! An outstanding river hook that always performs. Packs of 25 - £3.45 per box. Heavy weight (HW) version of the D04. Super sharp points and well tempered Japanese steel wire. Used in the Onstream-guide flies including the Life Jacket elk hair Caddis in size 12, Life Jacket Light in smaller size 14 and the Plover spider also in size 14. The heavyweight size 14 is used in the soft hackle dry fly! Klinkhammer hook in 14 and 16. Perfect for emerger patterns like the OG emerger. Great hook with good holding ability. 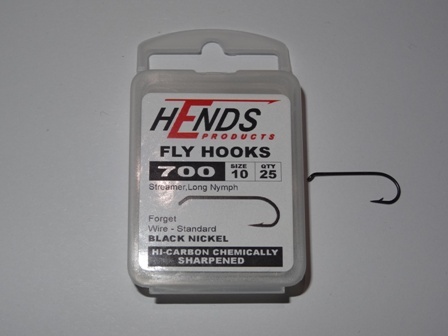 25 hooks per pack. Only £2.99. are manufactured from high quality steel in Japan. The new barbless range are particularly nice, they have super chemically sharpened points, black nickel finish and well shaped. 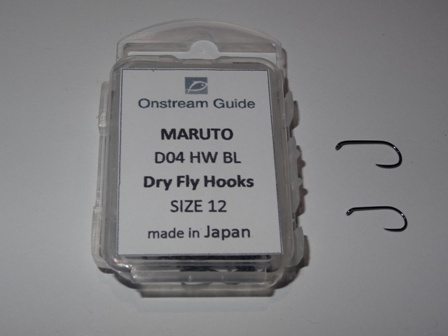 We use these jig hooks for Onstream-guide favourites like Black Magic nymph (sizes 14 & 16), Hotspot pheasant tail nymph (size 16), Flash back caddis (size 12), the Rainbow nymph (size 14) and the Plover nymph (size 16). 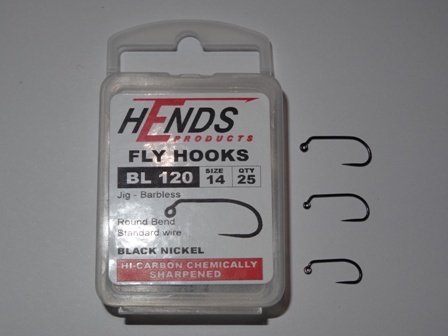 25 hooks per pack only £2.99. are manufactured from high quality steel in Japan. Featuring chemically sharpened points, with black nickel finish they are well shaped. 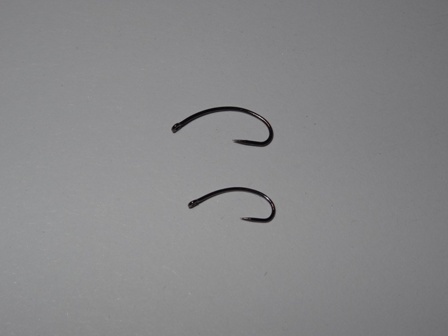 Used in the Onstream-guide ribbed Hare's ears nymphs; size 14 (mini) & size 16 (micro). Note, because the hook is 3 X short, the pattern is much smaller than the sizes suggest. For streamers or long nymphs. Packs of 25 - £2.99. Size 10 only.